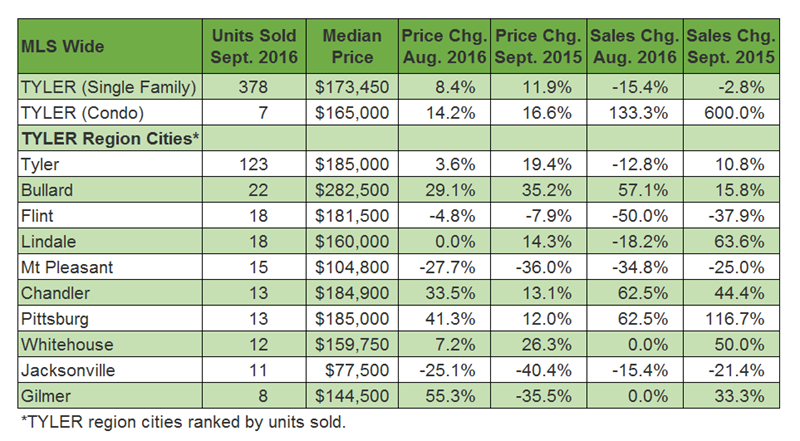 Below is a sample of the top ten cities by single family units sold in the report released on October 10, 2016. The median price of existing single-family homes increased to $173,450 up 8.4 percent from August 2016. Existing single-family home sales decreased 15.4 percent from August 2016 for a September 2016 total of 378 sold units.